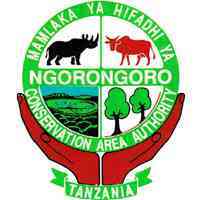 Overview: The Ngorongoro Conservation Area (NCA) was established under National Parks Ordinance CAP.412 of 1959. This unique area is currently managed by the Ngorongoro Conservation Area Authority (NCAA) pursuant to CAP 284 of 2002. It is under the Ministry for Natural Resources and Tourism. The main functions of the NCAA are to conserve and develop the natural and cultural heritage resources, to promote tourism in the NCA and promote the interests of indigenous people living in the area. The Ngorongoro Conservation Area Authority (NCAA) released All Results for NGORONGORO Interview Conducted 06th April, 2019. Assistant to all the remaining cadres, their schedule will remain as outlined in the preliminary announcement. CLICK THE LINK BELOW TO DOWNLOAD ALL RESULTS IN PDF FILE.